What’s not to like about vermicast? It provides a multitude of services; increasing soil water and nutrient retention, texture, nutrient availability and aiding in disease prevention. Studies show improvements in crop yield, bunch sizes, fruit set, fruit storage, trunk diameters and more. These positive affects have been shown to be measurable up to four years following applications. Worms are the great alchemists, concentrating the important plant nutrients such as nitrogen, potassium, phosphorus and calcium into forms that are much more available to the plants than those in the parent materials. The addition of vermicast has consistently improved seed germination, enhanced seedling growth and development and increased plant productivity much more than would be possible from the mere conversion of mineral nutrients into more plant available forms. 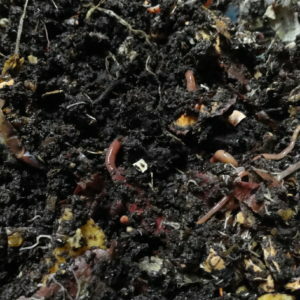 Compost worms need to be fed a varied diet to encourage a diversity of micro-organisms to flourish, including fungi, bacteria, protozoa and nematodes. These organisms all play a vital role in nutrient cycling and disease suppression. Cow manure is a brilliant feed source for worms but if used in isolation, the end product becomes bacterially dominated, by incorporating woody- type materials the fungi move in, and a wonderful balanced product can be produced. Orchard situations require a vermicast higher in fungi, while a pasture situation requires a 1:1 bacteria: fungi ratio for optimum health. “Build it and they will come”, not baseball players in this case, but other earthworm species, respond positively to the application of vermicast to soil. Encouraging an increase in earthworms has a multitude of benefits to soils and plants, through aeration, water infiltration, nutrient cycling and microbial stimulation. It is now well established that passage through the gut of some lumbricid earthworms results in phosphorus being converted to forms that are plant-available. Phosphorus is a limiting element for plant growth. Any process that significantly increases phosphorus availability and rate of turnover through plants and soil organic matter is very important. In the earthworm gut, ingested soil particles and organic matter are mixed with water and mucus, and the pH becomes neutral. Castings also contain important hormones, enzymes, vitamins and antibiotics, all important for plant health, and most importantly human health in the long run. These hormones can influence plant growth and development as well as crop quality significantly when present at very low concentrations. One of the important components in the worm humus (that’s what gives healthy soils their dark chocolatey colour) which provides binding sites for plant nutrients, such as calcium, magnesium, iron, potassium, sulfur and phosphorus. These nutrients are stored in the humic acid molecule in a form readily available to plants, and are released when the plants require them. This humus also helps to increase water holding capacity, with castings able to hold 2-3 times as much water. Vermicast will not burn even the most delicate plants, and contains the ability to insulate plant roots from extreme temperatures, reduce erosion and when minerally balanced it can reduce weeds. 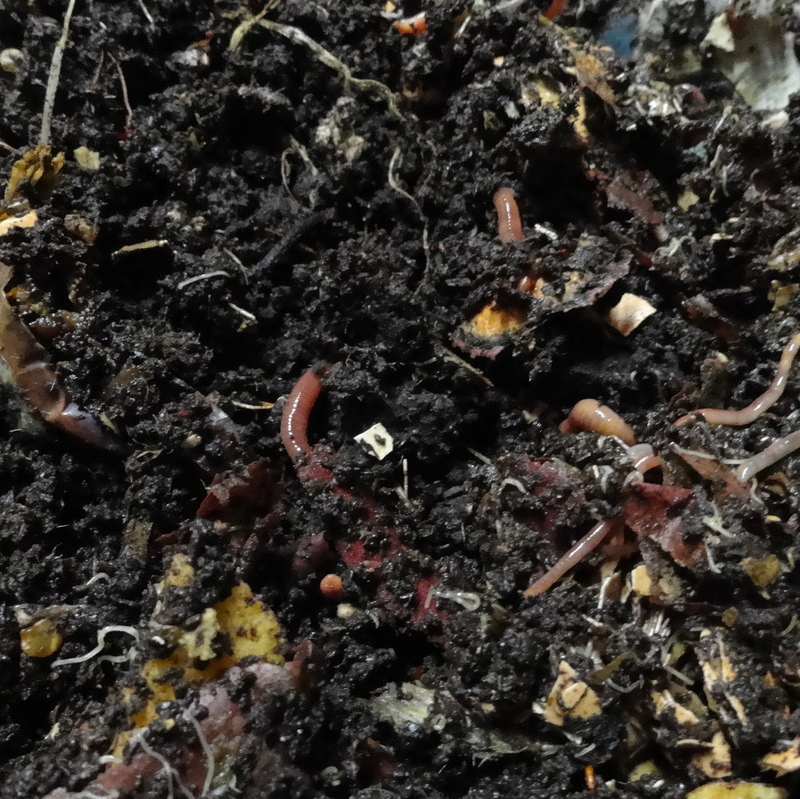 Using earthworm castings can reduce use of fertilisers and other agricultural chemicals. Why use products like Eco-N when worm castings have been found to increase available nitrogen to the plant and studies have found they have a high denitrification potential. Studies have shown that earthworms had significant effects on the amount of extractable NO3-, which increased with time. If plant production is to be maintained or increased, practical methods must be found to optimise nutrient cycling and reduce the reliance on fertilisers and agricultural chemicals in farming systems. Charles Darwin dedicated the later stages of his life to the study of the meagre worm, aware that there was a greatness underfoot that deserved far more attention. Fortunately we are seeing a lift in awareness in New Zealand to the importance of soil microbiology and worms as farmers see the benefits a change in approach brings to their farming operation. Abbot, I., and C. A. Parker. 1981. Interactions between earthworms and their soil environment. Soil Biology and Biochemistry. 13, 191-197. Basker, A., A. MacGregor, and J. Kirkman. 1993. Exchangeable potassium and other cations in non-ingested soil and cast of two species of pasture earthworms. Soil Biology and Biochemistry. 25(12): 1673- 1677. Bohlen, P., and C. A. Edwards. 1995. Earthworm effects on N dynamics and soil respiration in microcosms receiving organic and inorganic nutrients. Soil Biology and Biochemistry. 27(3): 341-348. Curry, J. P., and D. Byrne. 1992. The role of earthworms in straw decomposition and nitrogen turnover in arable land in Ireland. Soil Biology and Biochemistry. 24(12): 1409-1412. Edwards, C. A. 1995. Historical overview of vermicomposting. BioCycle. 36(6): 56-58. Edwards, C. A., and J. E. Bates. 1992. The use of earthworms in environmental management. Soil Biology and Biochemistry. 14(12):1683-1689. Edwards, C. A., and J. R. Lofty. 1980. The effects of earthworm inoculation upon the root growth of direct drilled cereals. Journal of Applied Ecology. 17, 553-543. Elliot, P. W., D. Knight, and J. M. Anderson. 1990. Denitrification in earthworm casts and soil from pastures under different fertilizer and drainage regimes. Soil Biology and Biochemistry. 22(5): 601-605. Hopp, H. 1949. The effect of earthworms on the productivity of agricultural soil. Journal of Agricultural Research. 78(10): 325-339. Joshi, N. V. and B. Kelkar. 1951. The role of earthworms in soil fertility. The Indian Journal of Agricultural Science. 22(2): 189-196. Lee, K. 1985. Earthworms. Their Ecology and Relationships with Soil and Land Use. 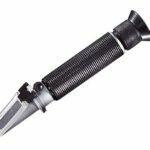 Academy Press. Sidney. Logsdon, G. 1994. Worldwide progress in vermicomposting. BioCycle. 35(10):63-65. Nielson, R. 1965. Presence of plant growth substances in earthworms demonstrated by paper chromatography and the Went Pea Test. Nature. 208(5015):1113-1114. Parkin, T. and E. Berry. 1994. Nitrogen transformations associated with earthworm casts. Soil Biology and Biochemistry. 26(9):1233-1238. Reinecke, A., S. Viljoen, and R. Saayman. 1992. The suitability of Eudrilus eugeniae, Perionyx excavatus, and Eisenia fetida (Oligochaeta) for vermicomposting in Southern Africa in terms of their temperature requirements. Soil Biology and Biochemistry. 24(12): 1295-1307. Ruz-Jerez, B., P. Roger, and R. Tillman. 1992. Laboratory assessment of nutrient release from a pasture soil receiving grass or clover residues, in the presence or absence of Lumbricus rubellus or Eisenia fetida. Soil Biology and Biochemistry. 24(12): 1529-1534. Spain, A., P. Lavelle, and A. Mariotti. 1992. Stimulation of plant growth by tropical earthworms. Soil Biology and Biochemistry. 16(2): 185-189. Whitaker, T., and G. Davis. 1962. Cucurbits: Botany, Cultivation and Utilization. World Crops Books Interscience Publisher, Inc., New York.